Swaying between seriousness and play, architect, writer and artist Raafat Majzoub’s work is based on the notion of performing reality until reality complies. For Moussem Cities: Beirut, he will be giving a talk and presenting a two-week-long performance installation. The talk is rooted in a weekly column Majzoub wrote for the Beirut-based Al-Akhbar newspaper titled ‘The Farewell Chronicles’. The series provides an interesting insider’s perspective on the city of Beirut. For the opening of Moussem Cities, he wrote a new text by way of introduction to the city and reflecting on publication, making-public, in a place like Beirut. 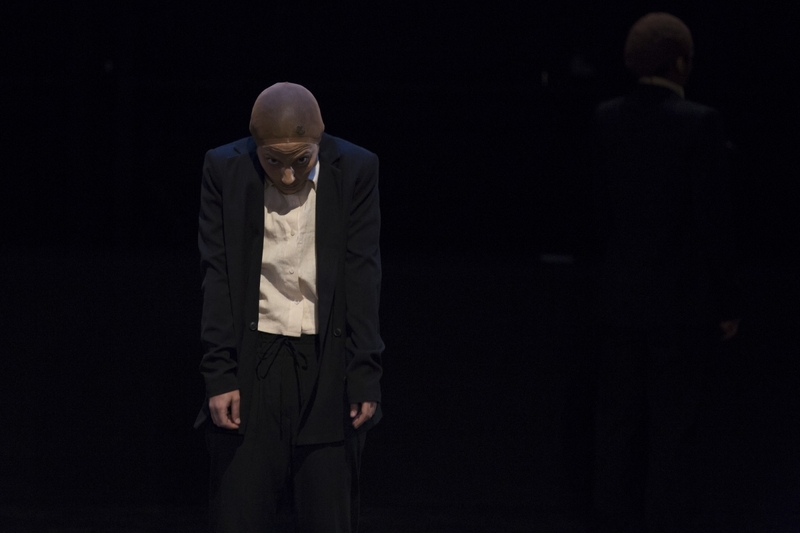 The third circle, variations is a performance and installation based on interviews with islamic intellectuals, religious leaders and specialists in islamic law, conducted by choreographer Nancy Naous. This project investigates what dance and music would look like when conforming to the Sharia. This project is a sequel to The third circle (created in 2014 in collaboration with composer Wael Koudaih), which questioned the direction of art in general and dance and music in particular from the prespective of islamic law. • Nancy Naous is a choreographer, dancer and actress. For her, dance is a way to address social, political, cultural, religious and psychological themes. She finds inspiration in current events and the developments in the Arab world. She studied in Beirut and Paris. Her own company is called 4120.CORPS, in an allusion to the number of kilometres between the two cities that have shaped her. EXTRA: installation Raafat Majzoub - "1"
In addition, Majzoub presents a new installation in the Gallery Ravenstein. 1 is the second prototype of The Khan’s nomadic hotel rooms, spaces that are created as intruders and hosts, generators and documentaries — incubators of Active Fiction. The first prototype, 0, will be set up until May 2017 at the Massachusetts Institute of Technology in Cambridge (USA). 1 will be an appropriation of a public/private space through the installation of a Twin hotel room that functions as a performance of luxurious intrusion, floating between the playful, serious and offensive tonalities of being present in the world today as an observer of lucid death, migration, xenophobic legislation, the crumbling of unions and disillusionment with present fictions. Majzoub will live in the hotel and operate its bar and piano area for two weeks from February 2 to 15. The hotel will be available on airbnb for people to share the experience. The performance is discreet, unstaged and ongoing.